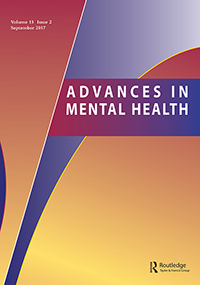 Scholarly literature in the psychological, social, behavioral, and health sciences. Extensive coverage from the 1800's to present. Content includes journal articles, book chapters and reviews, theses, editorials and literature reviews. PsycTESTS™ is an electronic database providing descriptive summaries, full text, and relevant citations on the development and assessment of tests and measures that can be used in research and teaching. Provides users with a comprehensive guide to over 2,700 contemporary testing instruments. Includes the DSM-V-TR®, journal articles, eBooks and practice guidelines. Includes psychiatry & psychology, mental processes, anthropology, and observational and experimental methods. Victoria's hub for health services & business. An approved mental health service is a premises or service where a person may be involuntarily treated as an inpatient for their mental illness. Speak up. Your experience matters. We work to develop responsive health service systems that meet the needs of people from refugee backgrounds, including asylum seekers. Incorporating the Current Mental Health Act Amendments. Mental Health Commission of New Soutn Wales: Torwards a just system : Mental illness and cognitive impairment in the criminal justice system. This is a guide to the Mental Health Act 2016 in Queensland. Pages 3-7 are an introduction and overview. Pages 21-29 discuss examination, assessment and treatment. Mental health services are health and welfare support services primarily focused on providing care to people with mental health issues. Services are delivered by a range of providers, such as state and territory governments, the Australian Government and the private sector. Leading, collaborating, advising, reporting to provide independent reports and advice to the community and government on mental health. A set of videos showing real-life volunteer patients with actual psychiatric disorders, lending a human face to psychiatric diagnosis. ICD-10 is a standard diagnostic tool for clinical purposes by the World Health Organization. Incorporating data from MIMS abbreviated and full medicines information, product images and consumer medicines information, MIMS Online provides access to essential information on over 4,500 prescription and non-prescription drugs.